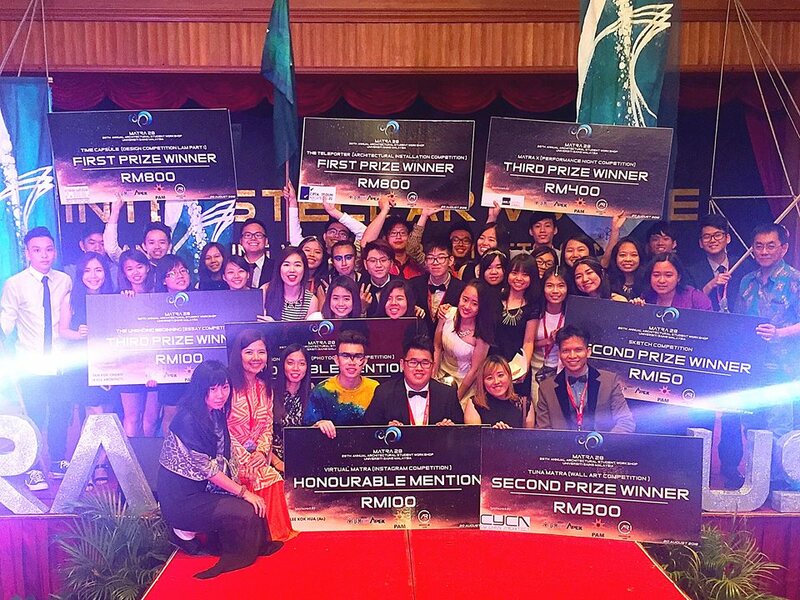 Thirty-five students from the Department of Architecture & Sustainable Design (DASD) won in eight categories they competed in at the 28th Architectural Student Workshop held at Universiti Sains Malaysia (USM) from 17 to 21 August 2016. The purpose of this workshop was to provide an opportunity for architecture and built environment students to interact with professional institutions to enhance and share their knowledge for more sustainable and efficient architectural designs. The group also scored Second for the Group Wall Art category with a cash prize of RM300, while Goh Ee Xuan took home Second for the Sketch Competition with a cash prize of RM150. The team also took home Third for their overall group performance with a cash prize of RM400, even as Cheah Xin Ying took Third in the essay category with a cash prize of RM100. Samantha Teo Yee Hui and Liew Yu Qian took home Honourable Mentions in the Photography and Instagram categories with cash prizes of RM100 respectively. They were guided by Centre for Sustainable Architecture Chairperson Dr Lim Poh Im and lecturers Abd Muluk Bin Abd Manan, Tew Bun Teck and Abdul Rahim Bin Mohd Zin. This marked UTAR’s fourth year participating, together with 21 other local and international institutions. This workshop was organised by Universiti Sains Malaysia.